Almonds have shells symmetrical valves and jagged edges up to 6-7 cm mottled beige brown or orange. 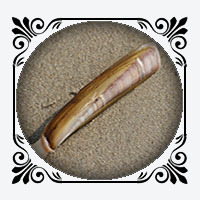 This bait is usually used in rough seas. It often works well when the waters are chained. Prick 2 almonds against each other to balance the hook. Choose shells depending on the desired fish! Big for the bar and smaller for bream and sea bream. 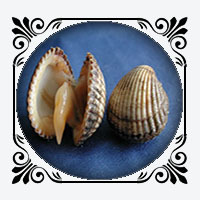 Shell has two identical valves. The mold has a serrated edge breakage white color brown. Larger reach 4-5 cm. The hull is in estuaries and lagoons. It burrows into the sand. Use 2 dozen fresh cockles for a good fishing trip. Shell is a very good bait for sea bream but also for the bars and flatfish. The shell of the knife is elongated shaped razor. They are found in the right waters. The result will be the same day or night. 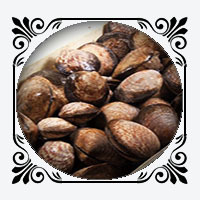 It can be used with the shell to sea bream, dissected for bars and pieces for small fish. Keep in a fresh place.